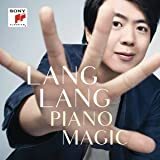 Buy the MP3 album for £10.99 at the Amazon Digital Music Store. 2014 two CD set. 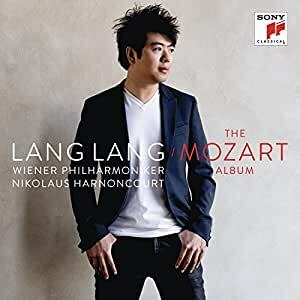 For superstar classical pianist lang lang's first all-Mozart album, he teams up with the perfect conductor, legendary Mozart authority, Nikolaus Harnoncourt. 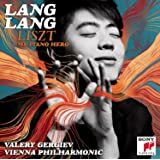 THE MOZART ALBUM presents two of Mozart's piano concerti as well as solo pieces, including one of his most popular pieces 'Rondo Alla Turca,' on two discs. The two piano concerti, Piano Concerto No. 24 in C Minor, K. 491 and Piano Concerto No. 17 in G Major, K. 453, were recorded with Harnoncourt and the Vienna Philharmonic at the Vienna Musikverein. 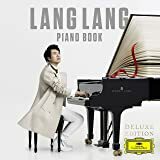 From the solo pieces, the three early piano sonatas, Piano Sonata No. 5 in G Major, K. 283, Piano Sonata No. 4 in E-flat Major, K. 282 and Piano Sonata No. 8 in A Minor, K. 310, have been part of lang lang's latest recital which he presented live in more than 200 concerts worldwide. These recordings were captured at his Royal Albert Hall concert in 2013. Excellent CD from the great man. I agree only partly with Sid Nuncius. Yes, the Rondo alla Turca is crazily fast (crotchet = 180), but I suggest you listen to the greatest pianist of all time, Solomon (Cutner), in this same movement; he takes it barely less quickly (170) ... Yes, I find the E♭ Sonata over-emphatic, but I do not hear any 'rhythmic perversity' in the opening movement of the A minor and I find LL's reading of the little G major Sonata, often on exam syllabuses and heard at Festivals, delightful (exam candidates please note). 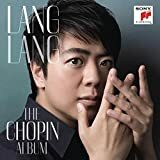 As for Bernard O'Hanlon's determinedly destructive review, if he finds that 'the second subject in the finale of K 310 [...] has never been so streamlined and trivialised', he cannot have heard many recordings or performances of this piece: LL is one of the few I've heard who at least tries to observe the dolce marking, though how anyone is supposed to do this convincingly at presto, I'm not sure. 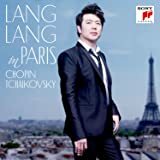 I agree that the C minor Concerto is far less dramatic than some – in fact, I find it rather tentative – but at least LL doesn't try to make it sound like an early draft of Beethoven's Third Concerto. 'Is not this concerto in a minor key?' asks Mr O'Hanlon. Well, not all of it. In fact, LL makes us aware how much of it is in fact in major keys, and how much of the music is quiet. I think it's a valid view, though for me it doesn't quite come off. And then Mr O'Hanlon accuses LL of 'a bland, Liberace palette that sits uneasily with the precepts of period practice'. Again, a little education is in order. Clearly, Mr O'Hanlon has not listened to Malcolm Bilson's ear-opening talk on classical style entitled 'Knowing the Score' (now on YouTube). 'Never play evenly', he exhorts, and goes on to explain why. If you want your Mozart smooth and even, to have no 'point', stick with the Schiffs and the Uchidas of this world. Yes, LL 'makes points', but isn't that the point of music? 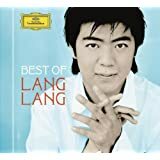 Finally, having listened again (and again) to the G major Concerto, I still think this is one of the most sublime and joyful Mozart concerto recordings I have heard. Do hear it. This is a reposting of my review which the Thought-Police wiped. As expected, this is a crash-site. It has been cordoned off. Body-bags have been ordered. Refrigeration is at hand. Don your hazmat suits. There's bleeding chunks everywhere. I presume it's Mozart, if not the tradition that viewed him as a dramatist of Shakespeare's stature. Faced with so much debris, where does one start? To a cardinal point. Why bother hiring the Vienna Philharmonic when the avowed aim is to transmute it into the Concentus Musicus Wien? Infuriatingly - as is his wont - Harnoncourt skeletonizes this ensemble, erases vibrato, clips its phrases and denudes it of bass. Ok, write off the double-basses - nowadays they're a luxury - but where are the cellos in the prelude of K 491? It's ghost-in-the-machine stuff. On the evidence here, LL should restrict himself to Romantics. Mozart scares him. His profundity eludes him too (to wit, the second subject in the finale of K 310 which has never been so streamlined and trivialised). I cannot hear an authentic voice here, only a bland, Liberace palette that sits uneasily with the precepts of period practice and defaults to point-making to mask the lack of an interpretative stance and internalisation. Dilution and domestication are the order of the day. Is there a less heroic account of K 491 in existence? I doubt it. The Larghetto that follows does not differ in cut. Is not this concerto in a minor key? Did it not daunt Beethoven? Not on the evidence here. Its first movement is devoid of tension to the point of being - yes - emasculated, roots and all. How lumpy it is! Indeed, the music-making grinds to a halt in the middle section following the ritornello. Affectation (from all concerned) mars the finale. It's a triumph of sorts to strip-mine K 491 of its tragedy. Seek the counsel of an agony aunt before you venture near this. I had been more fearful for the fate of K 453 whose iridescence is unique in Mozart. Here, an attempt is made to incarnate its charm, sullied though it be by LL's prettification and point-making. Stylistically, it is neither fish nor fowl but some hybrid in between. Truth to tell, it could have fared worse. Whatever are your current allegiances in the G Major, the status quo will remain. The three sonatas are played daintily. They might as well be bagatelles. No attempt is made to solicit their profundity. It's a flaccid, cutesy, stop-start gutless first movement of K 310 which, beyond these parameters, has much to offer! Amazingly, LL fails to observes the exposition repeat (fine by me) but then rakes over the development twice. Trust me: when one is being monstered by Lubimov in this work, it's time to hit the gym and protein-shakes. LL's fear of classical-bass is so apparent in the opening of the finale: this is a Mozart who has been contained to the middle of the keyboard. Before penning this review, I conferred with Showboat Billy who is currently domiciled on a Mississippi steamer. He too laughed at this nothingness before throwing a chip on the table. Strange bedfellows: Harnoncourt and Liberace!